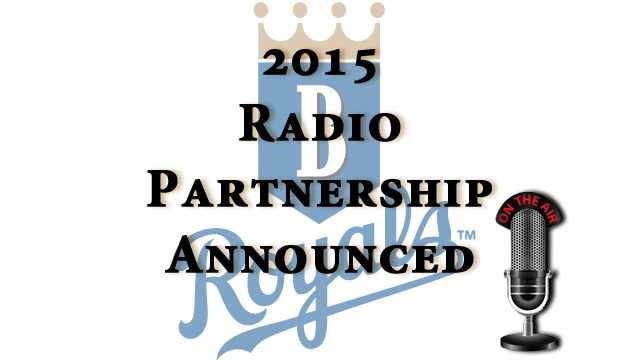 Burlington, NC - The Burlington Royals are pleased to announce a partnership with local sports station, 104.5 FM and 1200 AM, WSML in providing coverage for all 35 home and select road games for the 2015 season. This marks the first time that the Burlington Royals baseball will be on local radio, and the first time Burlington Baseball has since 2006. Coverage will begin with the pre-game show at 6:30 Monday thru Saturday and 5:30 on Sunday games, thirty minutes to first pitch. Matt Krause will return for his second season as the Voice of the Royals. Ryan Keur, second year General Manager is "excited about the opportunity to further our reach in Alamance County and provide extensive coverage for 39 games this year." Keur went on to say "when you think about baseball, and you think about the history of baseball, you think about listening to the game on the radio." 2015 is the 30th anniversary of Burlington Baseball in the Appalachian League, spending 21 seasons as an Indians affiliate and entering the 9th season with the American League Champion Kansas City Royals. This partnership will allow fans from Yanceyville to Liberty, and Greensboro to Hillsborough to listen to all Royals home games. "Burlington baseball has been a tradition as long as I can remember," said Operations Manager Carson Johnson. Johnson continued to state "WSML has carried Burlington Baseball in the past when the Indians were here, and we're extremely excited to be able to do it again." The Royals are set to open up Sunday, June 21st against the Kernersville Bulldogs from the Southern Collegiate Baseball League. Burlington's 30th season in the Appalachian League begins on the road and Opening Night is slated for Monday, June 29th at Burlington Athletic Stadium. Standard game time is 7 p.m. Monday through Saturday and 6 p.m. on Sundays, unless otherwise noted. Gates open one hour prior to game time. Full scheduled is available at www.burlingtonroyals.com. Season tickets, group outings, and mini-plans are all now available by calling the Royals at 336-222-0223. Think about warmer times and see you at the stadium in 2015.